What is Gastric Dilatation-Volvulus or Bloat? The radiograph on the right is of our German Shepherd Dog, "Flash". In 2012. He was lost him to GDV or Bloat in 20012. 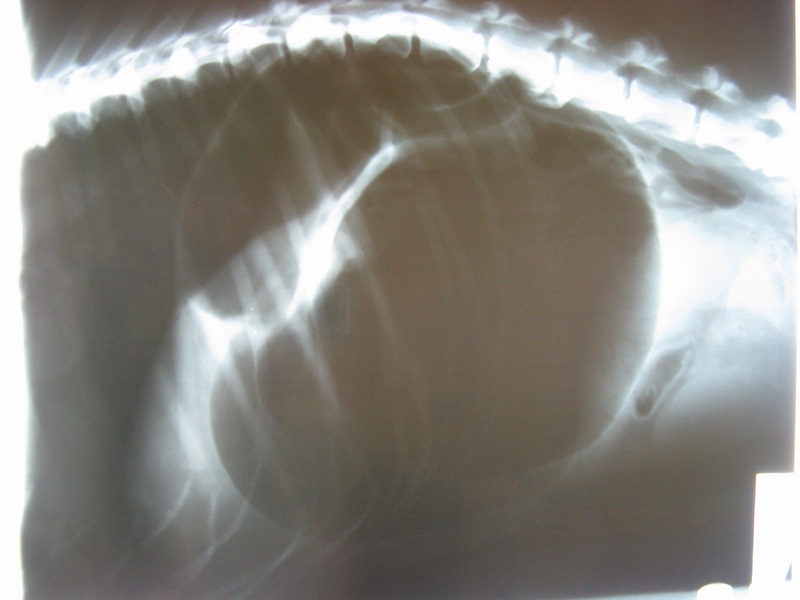 This is not an uncommon medical emergency that most often strikes large, deep-chested dogs. Although Flash typically weighed in at only 65#, he is considered a large (even giant) breed dog due to the depth of his chest. Flash quickly deteriorated in the 1 hour between on-set of symptoms and arrival at the Pet Emergency Center. 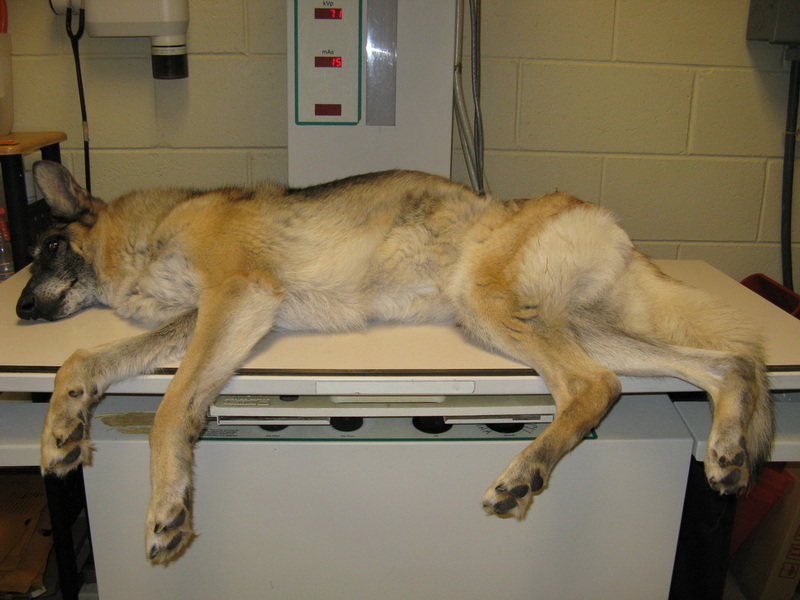 He was humanely euthanized due to age and poor prognosis. Please Seek Immediate Medical Attention! If left untreated, Bloat (GDV) is fatal! Below is a video of Flash as we arrived at the Pet Emergency Center and awaited the results of his radiographs. This video was taken to help owners visualize the symptoms of a dog experiencing GDV and know when to seek medical attention. The earlier Bloat is detected and treated, the better the prognosis for the patient! Note the large distension of Flash's left side.